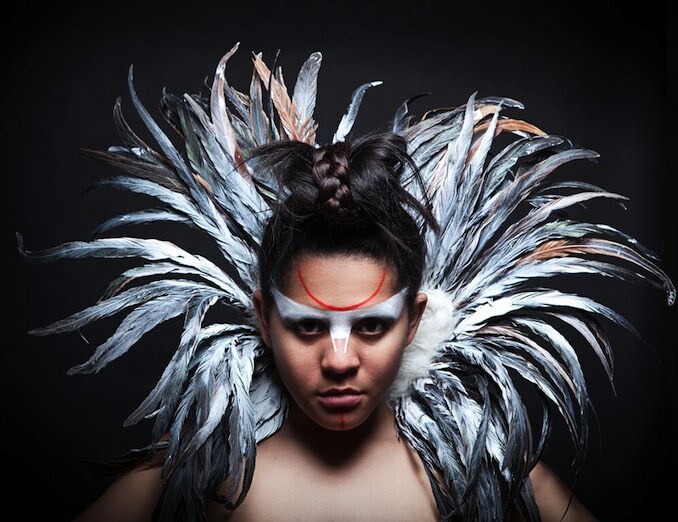 “The week-long Pan-American arts and culture festival, CAMINOS festival kicks off this week with an incredible line up of talent and inspiring performing arts. Let’s be clear though, this isn’t a tourism festival but something richly rewarding – It’s a great opportunity to discover some exciting Pan-Americans voices working in dance and theatre that live right here in Toronto. This new festival runs November 3-8, 2015 in the Native Earth’s Aki Studio and in Ada Slaight Hall at Daniels Spectrum (585 Dundas St. East). “CAMINOS is our way of inviting audiences to re-imagine the Americas, or more concretely, to see themselves as part of that re-imagining. In the arts we tend to look at ‘the older continent’ as our reference point, but we, as Canadians, play a key role in the cultural, economic and social vibrancy of our hemisphere,” said Beatriz Pizano, Aluna Artistic Director. Each night of CAMINOS features a different offering. Nightly presentations offer a variety of works and later in the week the program will include a late night cabaret program. The festival also features scheduled conversations on translation and cultural interpretation with artists, social innovators, and academics on approaches to translation by Aluna’s Bilingual Ensemble. The discussions about translation are part of Aluna’s Interpretation Lab, a year-and-a half long experimental workshop exploring how to break the barriers of language – through image, action, technology, and translation. Why does Toronto need this Festival? “Because we don’t have any other of its kind where Pan-American artists from all performance disciplines can showcase their work. The festival is as much about the performances as it is about the conversations about artistic practices. How are we Pan-American artists contributing to the landscape of Canadian theatre. How are Canadian artists changing the landscape of the arts in the rest of the Continent? These are the questions or the invitations this festival proposes,” said Pizano. 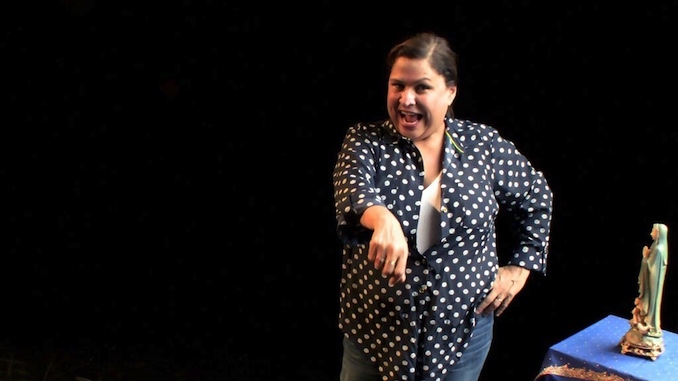 We took a look at the program and discovered that stand-up comedian Martha Chaves will open the festival with performance of In Times of Trouble — A story about love, loss, death and survival…the daughter gets news about her mother’s illness, she takes the long way home after many years of estrangement. Martha is a veteran of a dozen Montreal’s Just For Laughs Comedy Festival. She has also performed at the Halifax Comedy Festival; the Winnipeg Comedy Festival. The Edmonton Comedy Festival. 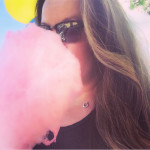 The Toronto People’s Festival. The Cracking Up the Capital Festival, and El Festival del Humor in Colombia, to mention a few. Her Stand-Up TV credits include her two national comedy specials: COMICS! On the CBC, and There’s Something About Martha on CTV and The Comedy Network, plus her multiple TV appearances in Montreal’s Just For Laughs, The Winnipeg Comedy Festival, The Colombia Festival del Humor. Martha’s versatility has granted her to perform all over the world. She has entertained a wide range of audiences, including the UN Canadian Peace Keeping Troops in the Middle East. In 2012, she performed in Mexico and Central America when she went as a delegate of The Nobel Women’s Initiative. In July 2015, she was an opening act of the pre-show for the 2015 Pam American Games in Toronto, and she performed in front of 45,000 at the Rogers Centre. A week later she hosted the Calgary Folk Music Festival. Martha has also had some appearances on the big screen, including John Q with Denzel Washington, and Down To Earth with Chris Rock and Wanda Sykes. She performs primarily in English, but also in French, Spanish and Italian. What’s been the most interesting part of this project for you? It’s the second time I’ll be performing this work as a theatre piece. As a matter of fact, I was directed by Bea Ian earlier, shorter, a lot less complex version of it, that we presented i nTracy Erin Smith’s SOULO Festival of Solo works in 2014. You play all the characters in this production. Are they based on people you know? Absolutely. I know them very well. the play is based on stories of my life. You’ve hit a chord with me, coming from a family of immigrants sometimes we feel like we don’t quite fit in here or there, and sometimes it’s a funny situation that we find ourselves reminded of this. I have lived in Canada for more than 30 years, but my immediate family (parents and siblings) has never even visited Canada. On top of it, my immediate family does not live in Nicaragua or country of origin. They moved to Guatemala in the 1980s so my younger brothers would not be forced to do military service during the Sandinistas vs. Contra war. they stayed in Guatemala. So, even when I go home to visit my family, I have never been able to really go home. I am the ultimate fish out of water! I am the queen of the fish out of water, or rather the Princess of Whales! Why should people come to see your performance? Because it’s funny, poignant, and moving piece that, in spite of being so personal and specific to some circumstances of my life, it also strikes a major universal cord. I don’t want to give the plot away but I know it’s been cooked well and it’s full of flavour! I hope you come to see it!